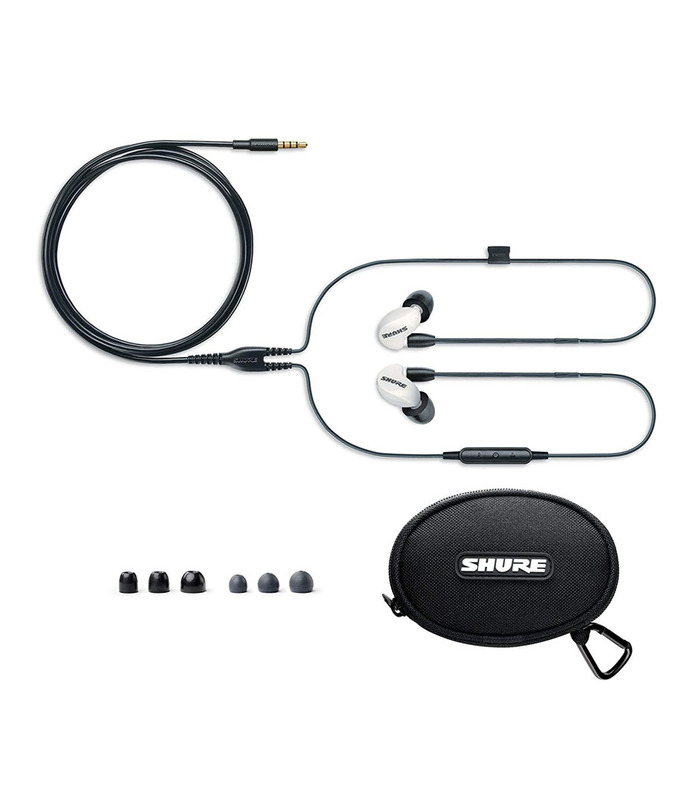 The white Shure SE215SPE are sound-isolating, in-ear stereo earphones offering notable sound quality and mobile-device integration in a lightweight and compact housing. The special-edition headphones use dynamic MicroDrivers to deliver a frequency response of 21 Hz to 17 kHz tuned for extended bass. The detachable cable has formable wires that fit over the ears to stay out of the way whether you're listening on stage or at home. Its in-line remote and microphone are ideal for controlling music and taking calls. Se215spe W Uni Efs from Shure is 100% original and brand new. We, at Melody House take pride in our after sales service and support. For further details on the se215spe w uni efs, Shure, simply write to us to consult an expert or order online and we will take care of the rest. Happy Shopping!